My two boys are now at an age where they remain enthralled throughout a film, which has given me an excuse to work my way through the Pixar back catalogue again. First name on the list, without a moment’s hesitation, was Up, as it’s one of the best films I’ve ever seen. Following the death of his wife, elderly widower Carl decides to live their unfulfilled dream and move to Paradise Falls. Along the way we are treated to an odyssey of emotion, one which at various points has the potential to render you a blubbering wreck. This is the beauty of Up; it offers some of the most emotive performances ever committed to film, and all through the medium of animation. The first few minutes of the film show the life of Carl and Ellie; from childhood, to joyful love-filled marriage, to the tragedy of not having children of their own, through to rising above this and living loving and happy lives. From there we feel the heart-wrenching sadness as Ellie passes away, and we see Carl become moulded into an angry and embittered old man. The film thunders on with the irrepressible enthusiasm of Russell, who’s still filled with joy despite the tragedy of his home life. We see the parental warmth blossom within Carl as he tries to maintain his vision of getting his house to the falls. We see the single minded exuberance of Dug the dog, and in Charles Muntz the neuroticism of a life spent unrelentingly chasing a dream. 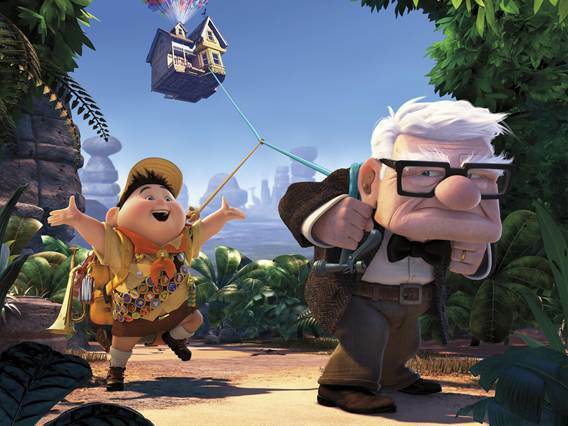 With one of the most touching endings of all of Pixar’s many many success stories, Up is a spectacular triumph. The depth of the characters is almost endless, and with bitter sadness entangled around the child-like dream unfurling in front of the viewer offers something quite profound. My two year old son, however, was unconcerned by this. He wanted a balloon (a blue one), and then decided that he wanted a dog. 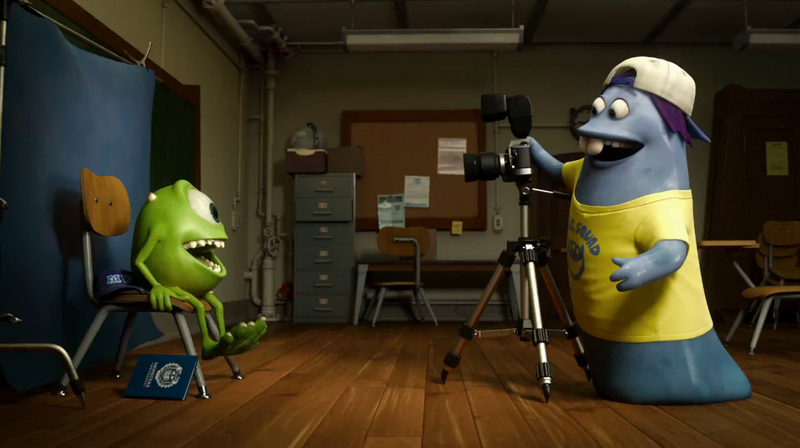 This entry was posted in 2009, Guest Reviews, Reviews and tagged Animation, Christopher Plummer, Drew Pontikis, Ed Asner, Film, Guest Reviews, Jordan Nagai, Movie Reviews, Movies, Obscene Gaming, Pete Docter, Pixar, Up on August 24, 2014 by moviesandbacon. Jichael Mackson, the Ping of Kop, singer of countless hits such as ‘Jelly Bean’, ‘Wheel the Hurled’ and ‘Whack or Blight’. Fascinating autobiographical French animation about a young Iranian girl who grows up during the Iran-Iraq War. 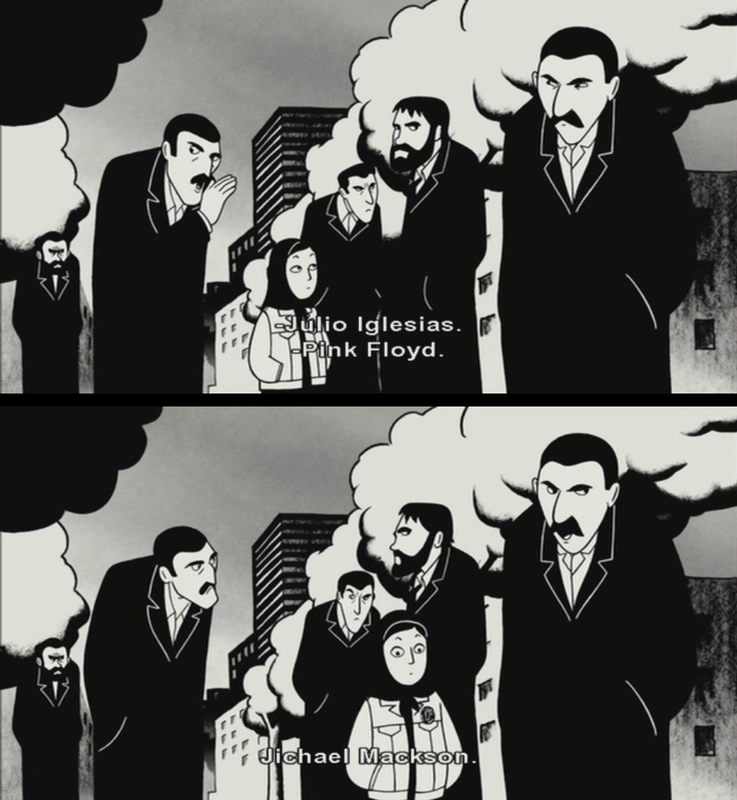 Based on Marjane Satrapi’s graphic novels, it maintains the same art style and transforms it into a uniquely simple yet effective style of animation, perfect for conveying the protagonist’s perspective of the world, immersing the audience within that world, and giving the film its wry tone. Satrapi is an endearing character and her somewhat unusual life makes for an engaging narrative and an interesting window into the events of the time. Considering the film’s subject matter and the wide acclaim it’s received, I found it didn’t pack quite enough of an emotional punch to be truly great, but nonetheless it’s an admirable and authentic piece of work that deserves to be seen. This entry was posted in 2007, 7.5, Reviews and tagged Animation, Film, French Film, Iran-Iraq War, Literary Adaptations, Marjane Satrapi, Movie Reviews, Movies, Persepolis, Vincent Paronnaud on June 24, 2014 by moviesandbacon.